Griffon House is located in Plumpton Green, a countryside village in the heart of East Sussex. 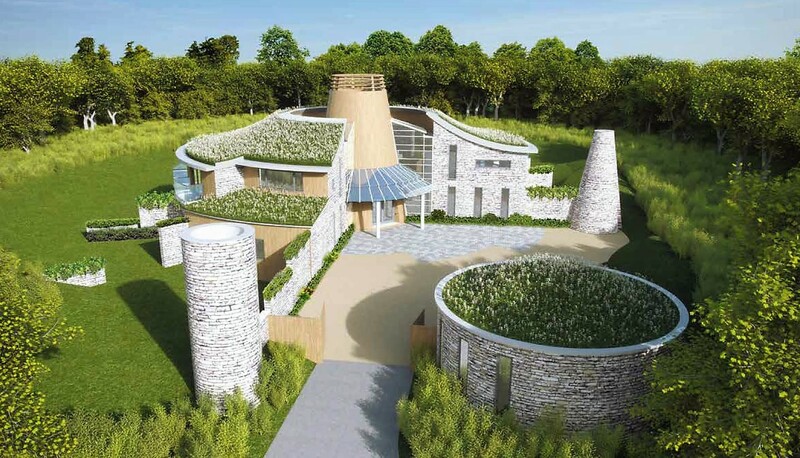 This unique building was designed by award winning architect, Lap Chan of Morgan Carn Partnership, to blend with the rural setting of the site and to be highly sustainable. The form and features of the building have been inspired by a local folly and its former use as WWII airstrip. Planning approval was granted by Lewes District Council under Paragraph 55 of the NPPF (National Planning Policy Framework). This was a government policy that in exceptional circumstances allows the construction of new dwellings in isolated rural locations so long as they are of truly outstanding design or innovative. The building therefore needed to be designed and built to achieve Code Level 5 of the Code for Sustainable Homes. 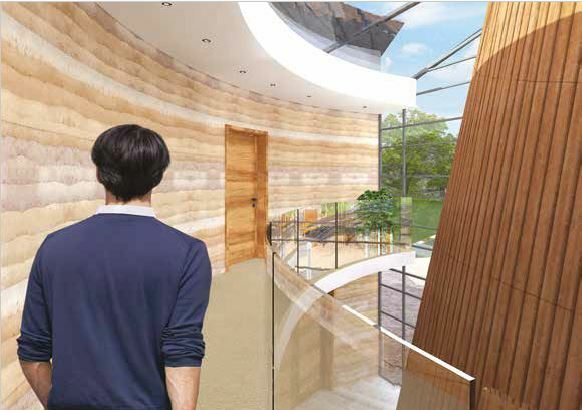 The house would need to achieve high insulation values, thermal mass and utilise renewable energy technologies. On top of this the building fabric would have to be flexible and robust enough to fulfil the curved design envisioned by the architect. 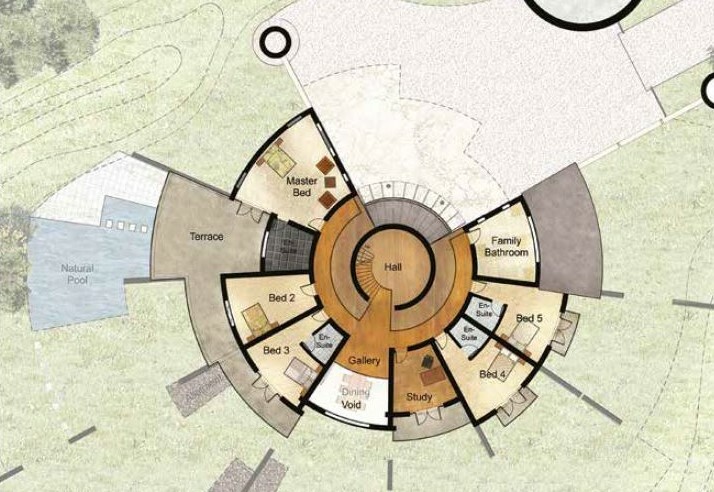 The curved structure appears to gently grow from the site organically. The front and rear of the property features curtain glazing. 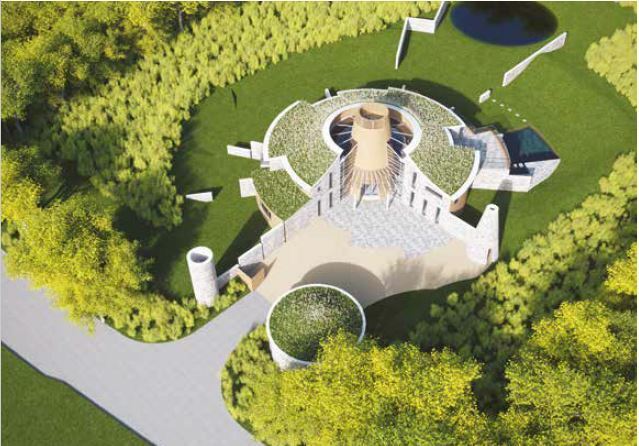 The central entryway opens upward in a 30ft high conical form, with rooms radiating outwards, flowing out in to apple orchards, koi pond and swimming pool. 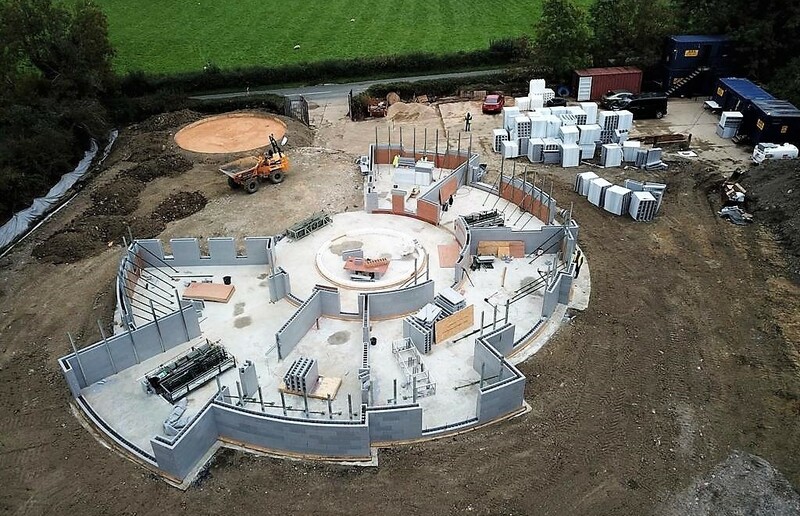 Thermohouse ICF wall blocks are flexible, highly insulated and structurally sound. 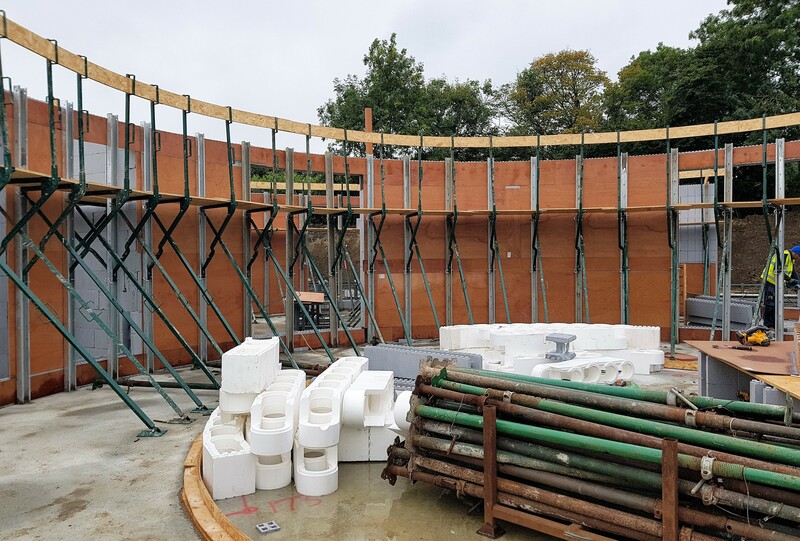 Thermohouse external ICF walls were used to form the outer radius, Internal load-bearing ICF walls formed the smaller inner radius. 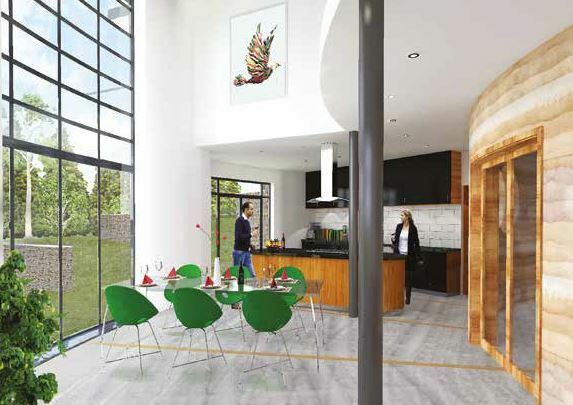 Thermohouse curved wall blocks were utilised to create the cone shape in the centre of the building. ICF walls were also used to build the external swimming pool. Agilitee Developments is a project management led construction company successfully delivering new contract builds across the South of England; fully engaged from concept to completion. 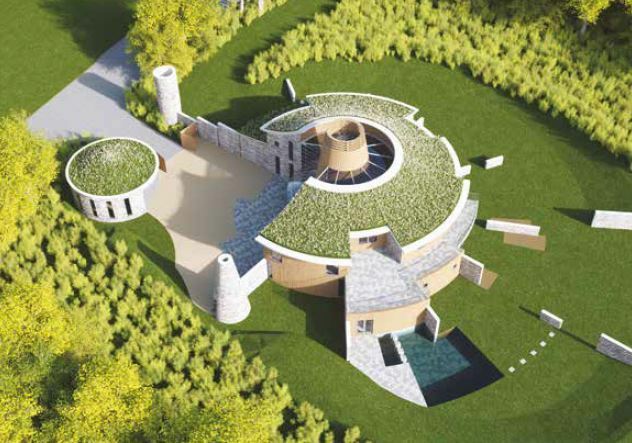 Agilitee was established in 2013 and since this time has completed a number of traditional, modern and luxury homes.